Friday was the first day of spring, so you’ve probably already heard words like “cleaning” and “organization” a dozen times. If you’re having a hard time getting your but in gear, have no fear! 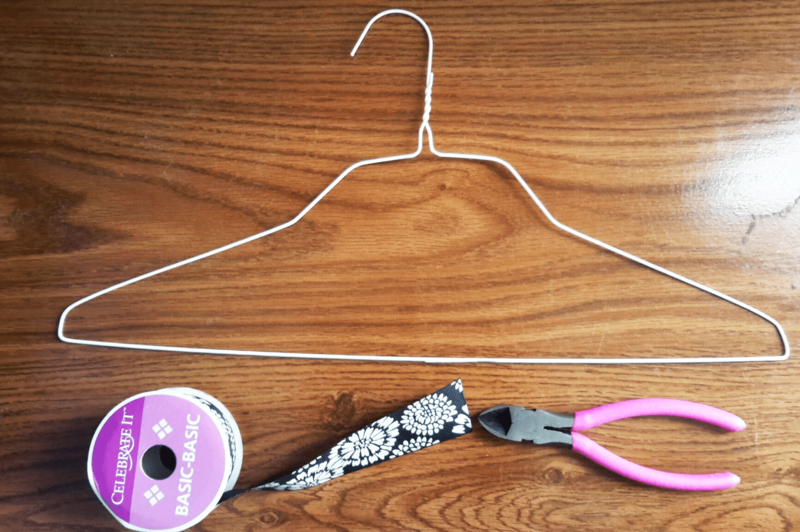 For the next six weeks, the LC Blog will feature a new spring cleaning DIY every weekend. It’s much easier to get your house in order when you’re taking it one weekend at a time. Let’s get started with our very first segment, which will organize your flip-flop and flats collection. Once you have obtained your three materials (seriously, so easy and affordable! 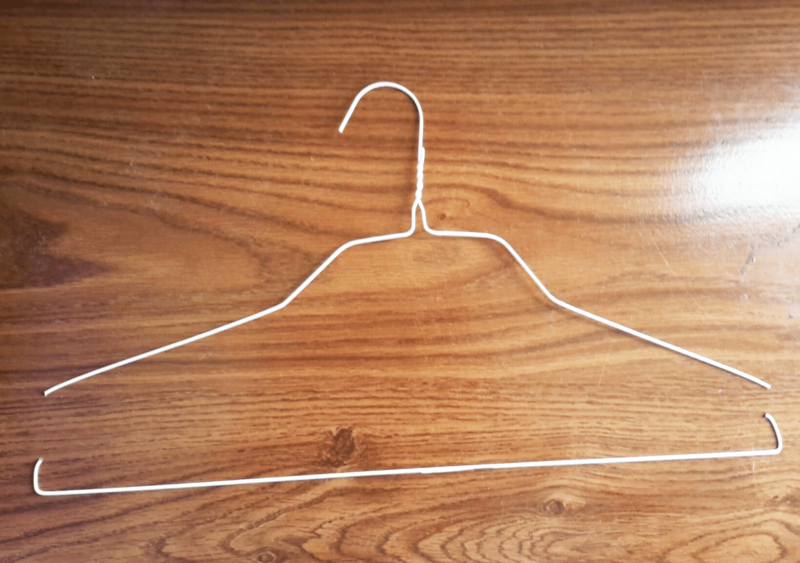 ), it’s time to cut the hanger. 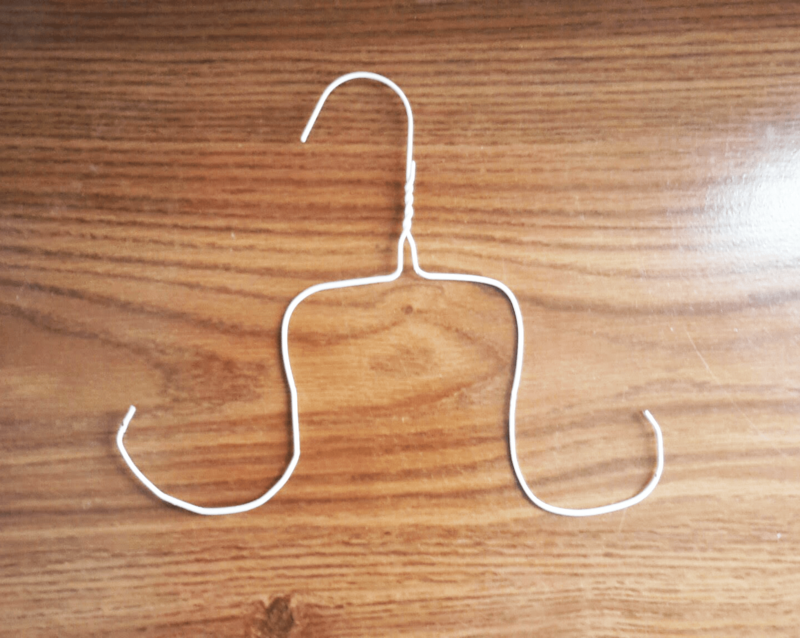 Clip the bottom half of the hanger like so. Now it’s time to add a little splash of personality. 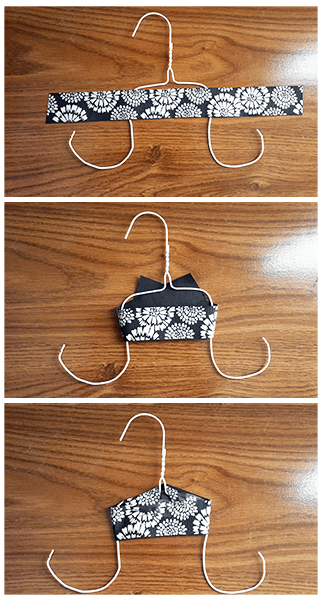 Grab the ribbon you picked out and wrap it around the handle of the newly-shaped shoe hanger. All that’s left to do is to hang your flops and admire your handy-work! 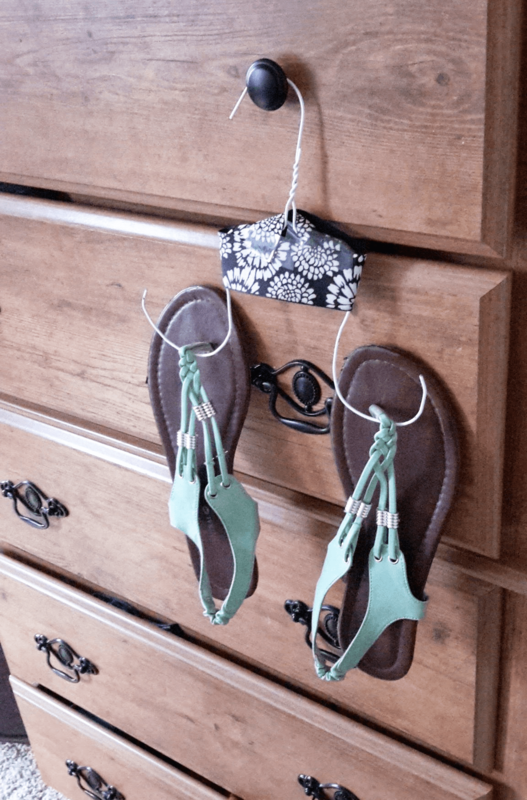 With these hangers, it’s a lot easier to immediately hang up your shoes after you walk through the door, instead of throwing them on your closet floor. 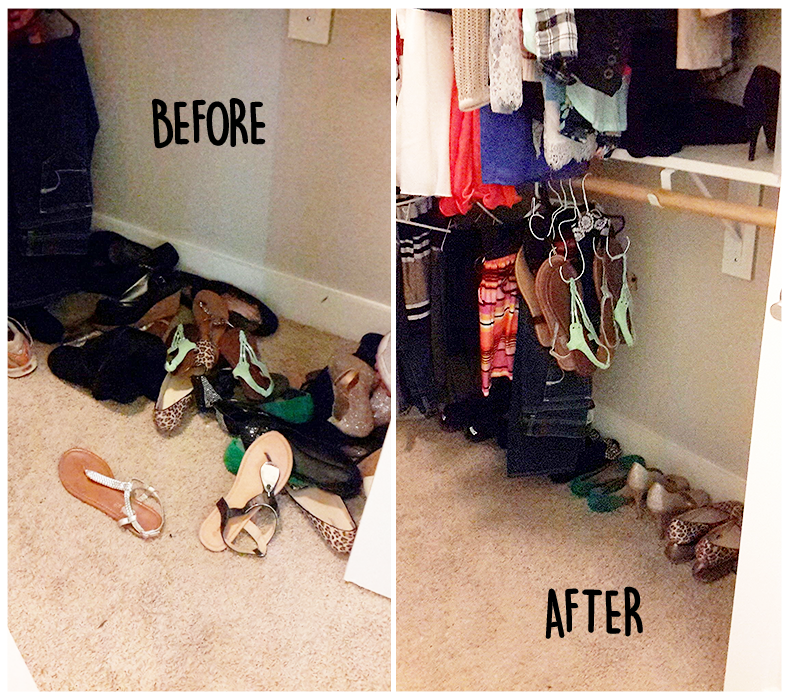 Share a before and after picture of YOUR shoe organization skills. Here’s ours!